Magnus Paajarvi was placed on waivers today by the St. Louis Blues, possibly signalling an end to the young Swede’s time with the organization. 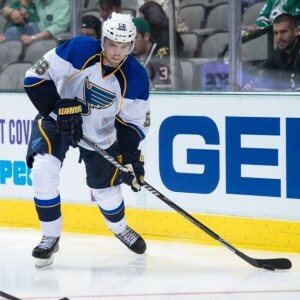 After coming to St. Louis in the David Perron trade from Edmonton in July, 2013, Paajarvi has seen limited NHL action with the Blues and may have missed his last chance at a role with the club. 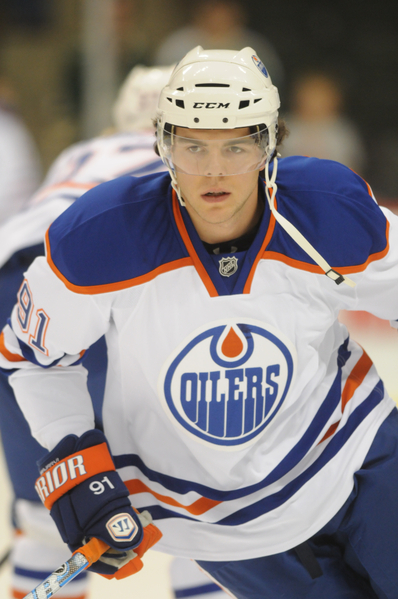 Originally a first round draft pick (10th overall) by the Edmonton Oilers back in 2009, Paajarvi made a splash in his first NHL season (2010-11), scoring 15 goals and adding 19 assists at the age of 19. Any ripples faded quickly as he wound up playing only half of the next two seasons with the Oilers, scoring only 11 goals in 83 games and splitting that time with the Oklahoma City Barons of the AHL. 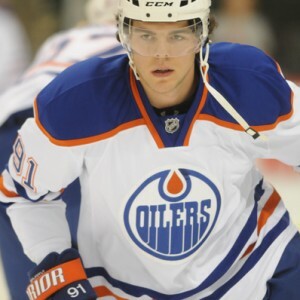 Prior to being drafted by Edmonton, Paajarvi played his hockey in Sweden, never lighting the lamp at any torrid pace which leads me to believe he was perhaps overrated by professional scouts. He notched more than 10 goals only once in his entire Junior hockey career in the Swedish leagues. After coming to St. Louis, Paajarvi struggled to gain purchase in coach Ken Hitchcock’s ever-changing parade of forward lines. Playing in 55 games with the Blues in the 2013-14 season and netting six goals, he spent much of his time in the press box. Failing to win a roster spot in training camp last year, he started the season back in the AHL with the Chicago Wolves. Paajarvi played in 10 games with the Blues over the 2014-15 season, usually as an injury replacement, and contributed a lone assist. His AHL numbers though showed flashes of his ability originally displayed during his NHL rookie year as he potted 11 goals and 18 assists in just 36 games, plus three more tallies during the playoffs. 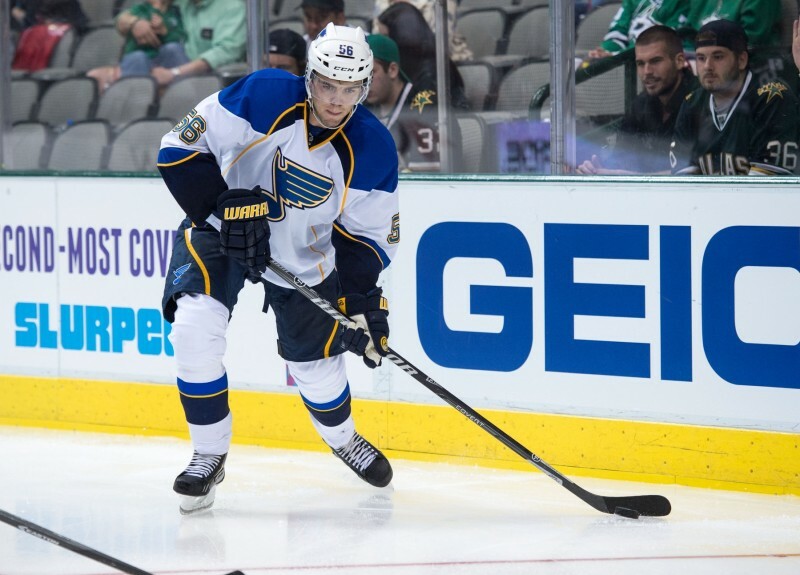 That brings us to this year’s Blues training camp where Paajarvi once again had the chance to earn a roster spot. There were holes in the forward lines and his youth, size and speed all appeared quite appealing on paper. If there was a year he could finally make a mark in St. Louis, this was it. We know that didn’t pan out as Paajarvi competed with NHL veterans like Scottie Upshall and Scott Gomez, and another youngster in Ty Rattie for a place on the big club. For now, those others are all still in camp but the Swede was sent packing, and it’s very possible he’s claimed off waivers by another NHL team. If not, it’s possible Paajarvi reports to the Wolves, who opened their camp yesterday, joining fellow Blues prospects and accepting another year of filling in with the Blues when regulars go down with injuries. I think a more likely scenario is that he decides to return to Sweden and play there. There’s no real reason to believe that with the young talent St. Louis has in players like Rattie, Robby Fabbri and Ivan Barbashev that Paajarvi will find a spot on the Blues any time soon. Whether he’s playing well or not, it doesn’t appear Hitchcock has a place for him regardless of how shuffled the lines become.